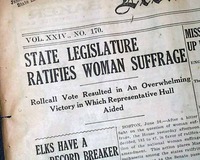 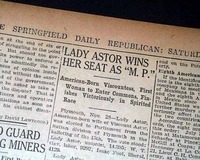 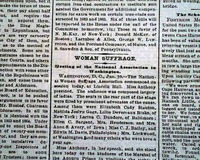 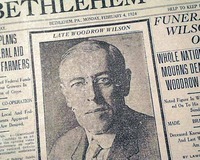 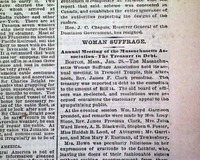 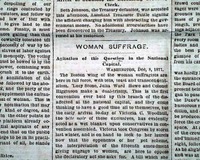 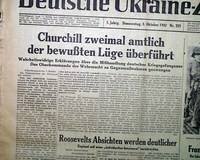 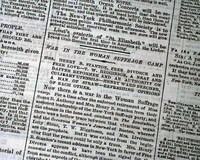 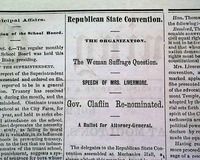 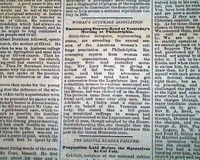 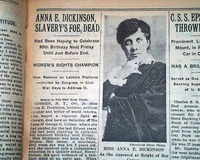 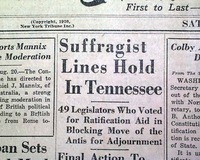 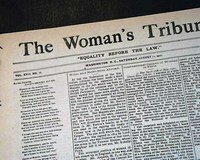 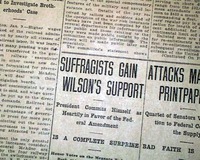 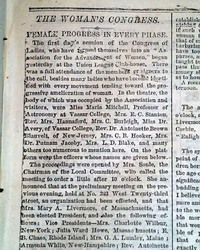 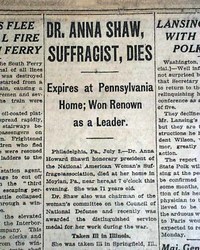 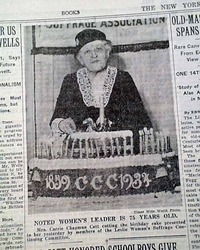 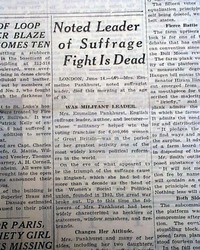 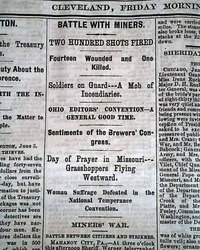 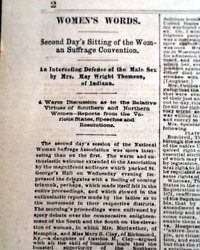 This 22 page newspaper has a nice front page Women's suffrage photo with caption: "Victory" (see photos). 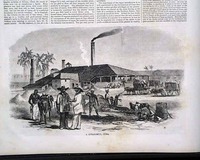 THE ILLUSTRATED AMERICAN, New York, May 19, 1894 Among the pages within are those with: "Some Pictures from the Salon of the Champs Elysee, Paris", a fullpg. 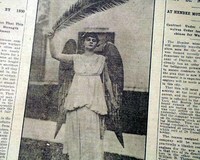 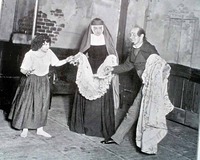 showing: "Burning of the St. Charles Hotel, New Orleans", the race horse "Ajax" and more. 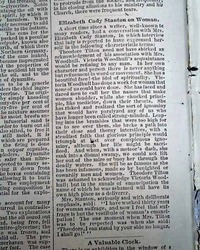 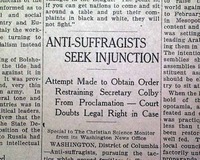 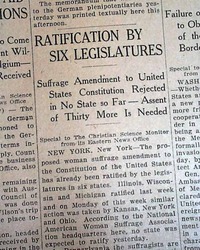 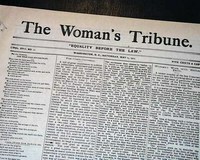 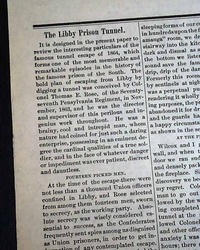 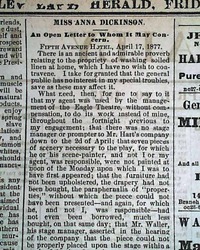 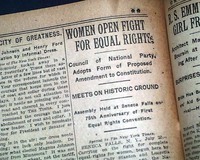 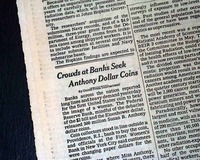 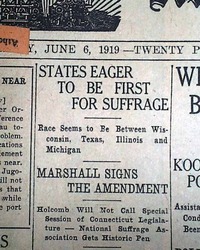 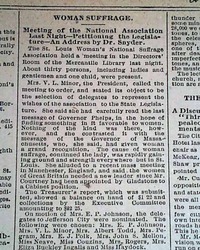 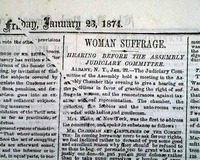 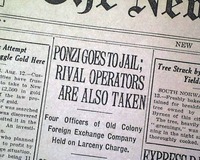 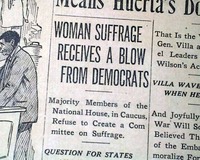 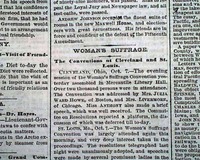 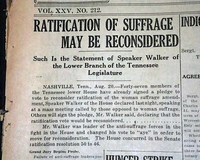 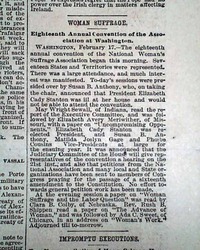 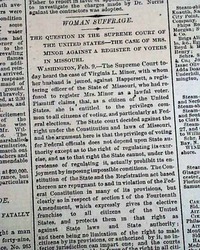 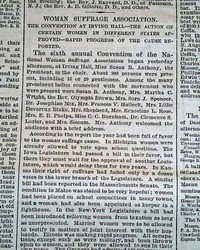 Plus there is an article: "Shall Women be Granted full Suffrage?" 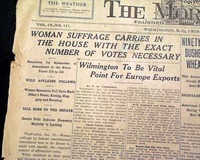 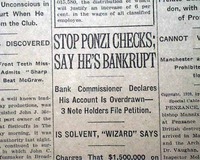 The front page has: "Washington" "Martial Law No Longer in Force in Kentucky" "The President's Proclamation" "The Status Of Kentucky". 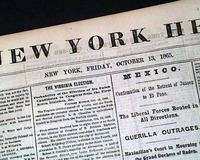 Proclamation concerning martial law in Kentucky is signed in type: Andrew Johnson. 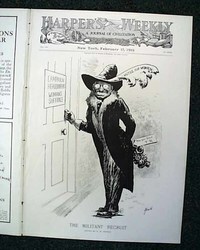 The front page of this issue is an illustration of "The Militant Recruit" by Kemble. 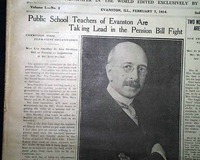 Also present is a wonderful color cover a what appears to be a grandfather and grandson painting an old wooden sled.